Episode 98 of the podcast was discussed this weekend, as it focused on Spanish Metal, namely the band Hell’s Fire. But during the same episode Guillermo Izquierdo and I also discuss Resurrection Fest. This was a small festival that has slowly built itself into the premier festival in Spain, on the level of say Bloodstock in the UK, and others throughout Europe. The festival has the potential of being one of the biggest festivals in all of Europe, joining the ranks of Hellfest, Wacken, Download and others. Obviously this will still take years of cultivating the culture and audience. 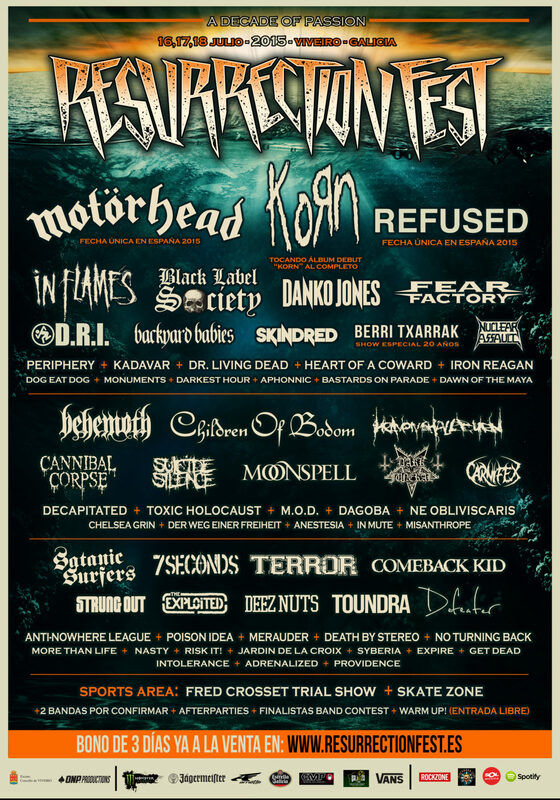 This year’s festival will feature Motorhead, Korn, Black Label Society, Fear Factory, Behemoth, Children Of Bodom, Cannibal Corpse, and many many more. Continuing our bootleg series, here is Gojira’s full set from last year’s festival. or a special edition from iTunes.